Bottom Line: The Eva is a great MP3/WMA player and thumb drive, but some compromises had to be made to keep it reasonably priced. The world of technology is ever changing; constantly evolving to meet our every need; packing more into smaller spaces. Take for example this little thumb drive. 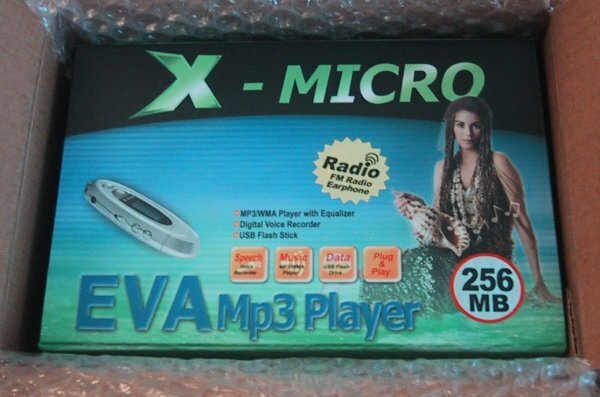 On first glance it looks like a bloated pack of Winterfresh gum, however, on closer inspection you would find not only a 256 Mb RAM drive but an MP3/WMA player, voice recorder and an FM radio. 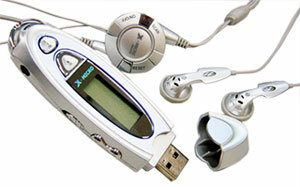 This is the X-Micro EVA.